Being a host family is one of the most exciting things that you can do, and welcoming a foreign exchange student into your home is a chance for you and your family to become familiar with another culture and learn about another country. Many families report that the experience is life-changing and many hosts remain firm and lifelong friends with the student placed in their home. Although the experience can be a positive one for the host family, it should also be an enjoyable learning experience for the visiting student, and making them feel welcome is one of the most critical aspects of any host student program. Your home may be very different from the one they left to come to the US as a foreign exchange student. Take the time to show your student where things are and how they work, such as the television, shower and kitchen appliances. Introduce them to the members of the household – including pets if you have any – although you should keep in mind that they are probably tired, anxious and perhaps jet-lagged. More in-depth introductions are perhaps best left until they have had a good night’s sleep, although the important thing is that when you tell them to make themselves at home, you really mean it. Although you want your foreign exchange student to feel at home, it’s also important that they understand and respect any house rules. If you insist that shoes are left at the front door, or that meals are eaten together, those rules should apply to your student too. Remember that they want to be treated as a member of the family and may feel uncomfortable or embarrassed if rules don’t apply to them, or they are treated differently. You should expect your exchange student to carry out the same chores as your children are required to carry out. Few things make a foreign exchange student feel instantly at home than having a meal cooked that they are used to, and preparing their favorite food or meal can be the ideal way of putting them at ease. And of course, as the host family, it’s also a wonderful opportunity for you to perhaps step out of your comfort zone and prepare and eat something that you normally wouldn’t eat. Most students are happy to help to prepare a meal, and this interaction can also help to make an anxious student feel more relaxed and at home. The Internet has made it simple to keep in touch with home and to communicate, and the days when you would have to ask the operator to place an overseas call are long gone. It’s easy to find television programs and movies online from just about any country in the world, and of course, chatting via one of the photo chat applications is a wonderful way to make a homesick student suddenly feel better. A word about religious differences, as it is easy to see why these might cause a problem. As a host family, your approach should be to respect their religion, even if it is very different from yours. Allowing them to attend a local temple or church of their choice is an obvious way to make someone feel at home. Most foreign exchange students are only too happy to talk about where they are from, their traditions and culture, what they like to eat and what the differences are between the US and their home country. Ask to look at pictures of their parents, family or friends, or their home or school. If you don’t speak their language, it’s easy enough to communicate in sign language, and of course, your overseas student is only too happy to practice their English. At the same time, keep in mind that one of the reasons they chose to stay with a host family is to experience as much as they can of life in the United States. The events and activities that you take for granted are probably new and exciting to them, such as watching the local baseball or football team, firing up the backyard grill, or enjoying an ice cream or a milkshake at your local hang out place. Even shopping for groceries or dropping the kids off at school can be exciting to a first time visitor to the United States. Making your foreign exchange student feel welcome is one of the most important steps you can take as a host family, and can help to ensure a positive experience for all. There are several gifts you can give to a foreign exchange student. As a host family, you must be able to make the student feel welcomed — and part of the family as well. Whether for internships or international study programs, students will always feel excited and nervous about entering this new phase in their lives. For one, there is almost a language and communications barrier for most international students. So how about a book or publication that helps these kids learn more about their new countries and traditions? While books may seem outdated, they are still the perfect resource for students that want to learn more about the countries they will be living and studying in. However, it is important to get books that are in their native languages –but with English translations as well. Scientific calculators, educational books, resources, and materials that will help foreign exchange students in their new schools. Gift cards for students to buy electronics, clothing, food, and anything he or she needs. Ask the exchange student what they love the most? Computer games, video games, movies, clothes, footwear, wireless electronics, or other items might be what they are interested in. You can also arrange a huge dinner at home — or at a local restaurant — to welcome the foreign exchange student to your home and country. As a host family for foreign exchange students, you should know that many of these kids love sports. This includes basketball, football and especially soccer. In fact, the latter is the world’s most watched sport — and continues to soar in global popularity. If your student loves soccer — how about some tickets for a local game? From MLS to International Champions Cup, there are so many games being played across the nation. In fact, 2017 has been dubbed “The Year in Soccer” as fans and teams anxiously await the FIFA World Cup 2018 in Russia. You can simply ask your student if he or she loves soccer and take it from there. However, if they do not like soccer — you can always introduce them to popular sporting events in America. This includes baseball, football, basketball, ice hockey and much more. Nothing is greater than spending quality time with loved ones and friends at local or professional sporting events! Since foreign exchange students will probably have their own rooms, how about trimming up these areas with cool accessories and ceramics? In fact, you can visit any local gifts store for some great figurines, toys, ceramics, and artwork. It should be up to you and the student to see what kinds of hobbies he or she likes? For example, the student may love to cook appetizers and entrees. Therefore, how about some cool ceramics like chefs, chef hats, and things having to do with culinary themes? Similarly, the student may love science fiction or the latest comic book movie adaptations. With this in mind, you can buy him or her the latest comic book action figures, novel, or even tickets to movies and/or Comic-Con events in your area. While most foreign exchange students want to learn about their new homes, it may take a while for some of them. After all, this is a new cultural experience and lifestyle change for exchange students. With this in mind, maybe you can purchase some gifts that they like and are aware of. For example: how about a sari or garment for students coming from India? Similarly, how about some clothing items for students visiting from Africa or other parts of the world? You can also purchase these items for you and your family, which is a great way to show students that you want to learn more about their cultures and traditions as well. With so many items available — as long it comes from the heart — that is all that matters. For more information on gifts for foreign exchange students, simply check our blog or the Web today. 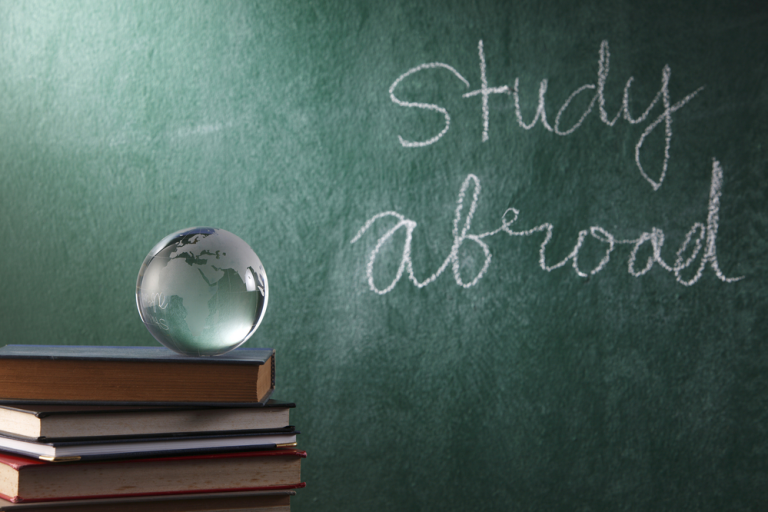 To study or work overseas is one of the most exciting and rewarding things there is in life. If you are an overseas student planning to study in the US, or an au pair looking for work, one of your priorities is probably to find just the right family. It is important to know how to find a host family that will be a perfect match – or as close to perfect as you can get, and the right family can go a long way towards making a memorable, pleasant and rewarding experience. Many host families and visiting students become firm friends and keep in touch over the years, and it isn’t uncommon for the host student to return the favor one day and put up the family who hosted them all those years ago. However, if you are a host family about to welcome your first visiting overseas student, or an au pair to help out around the home, there are steps that you can and should take to ensure a positive experience all around. Although there are no particular requirements to be a host family, most families who host a foreign student tend to be close, have a sense of fun and adventure, love to travel and meet new people, and don’t mind having a complete stranger living with them for several weeks or months. Of course, you also have to have a home that is large enough to accommodate an overseas student in his or her own bedroom. One of the most important things is to treat your overseas student or au pair as part of the family. Of course, your student is in the US to work or study, but they also want to feel welcome, and feel as though they are not intruding, or overstepping cultural boundaries. Many overseas students haven’t left their home country before and are understandably apprehensive about embracing a new culture and meeting a house full of new people. Doing everything you can to put your new guest at their ease and making them feel comfortable is just as important as providing them with a room, bed, and meals. Treating your overseas student as part of the family also means that they should follow any household rules that apply to everyone else. If eating at the table is mandatory, and taking shoes off at the front door is enforced absolutely, it’s acceptable to make sure your visiting student follows these rules. In fact, they wouldn’t expect anything else, and certainly, don’t want any special treatment. Most students are as anxious to please their host as they are to keep up with their studies and do well at college. If the same rules apply to everyone in the house, your kids will generally cope with the experience better, and it allows you to maintain structure and treat everyone fairly. However, you may have to strike a balance between enforcing the rules and making allowances of the language barrier, and any religious or cultural differences. Achieving this balance is not always easy, but can go a long way towards having a great host family experience, and making your student feel welcome, secure and accepted. As we all know, religious differences, in particular, can be a thorny subject, and anticipating any such issues is always recommended the more you understand about someone’s culture and beliefs, the easier it is to interact successfully with them. Involving your host student in your daily activities can also help to ensure an unforgettable host family experience. Decorating the house for Christmas or Halloween, cheering the home team at a baseball game, or helping to cook burgers on the grill can all be fascinating to someone who hasn’t visited the United States before. However, involving your foreign exchange student in the simplest of activities can also help to create a great experience – cooking a meal, doing the weekly shopping, picking up the kids from school. Remember, what is routine to you may be new and exciting for them. Whether your spare bedroom is going to be home to an au pair who is looking after your kids, or a student who lugs their books to the library each day, try to remember that they are part of the family – at least for as long as they are in your home. Remember that your student is probably homesick, nervous and overwhelmed when they first step into your hallway. And not only that – they probably can’t figure out how to work the shower either.